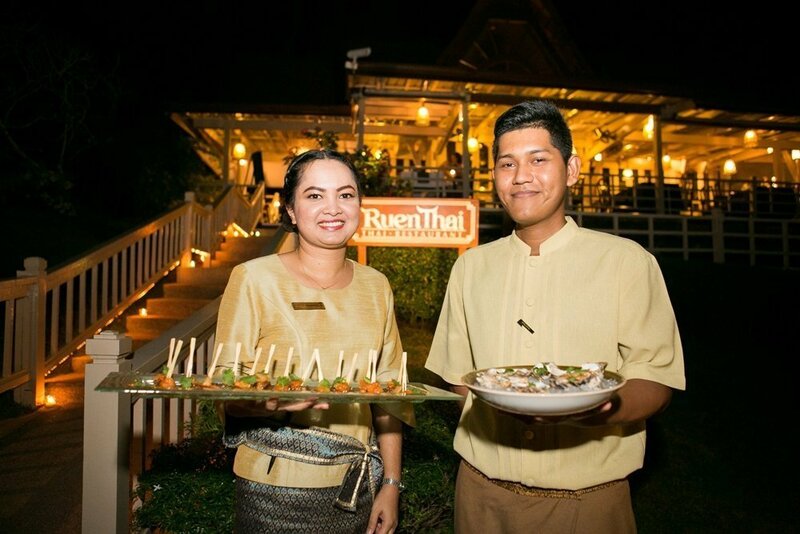 All Posts in "Dusit Thani"
Phuket, Thailand – Dusit Thani Laguna Phuket joins Siam Winery Co., Ltd. hosted ‘The Taste of Siam’ wine dinner, highlighting the prestigious Monsoon Valley wines from Hua Hin Hills on last Friday January 23rd at Ruen Thai Restaurant. 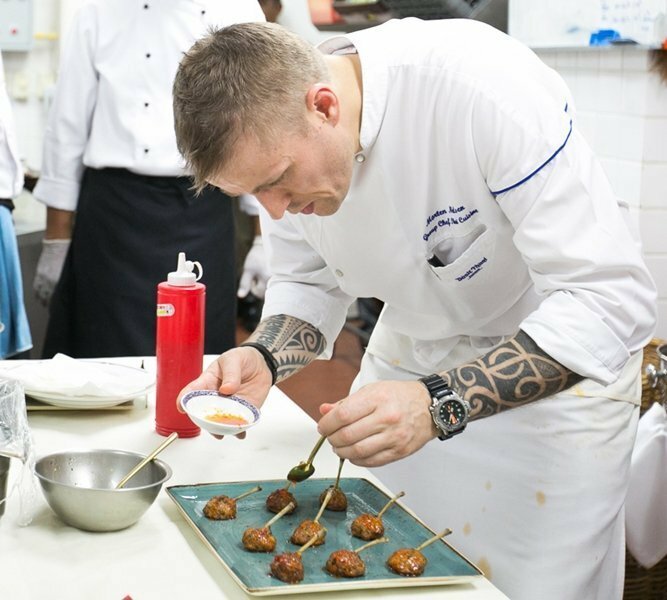 The four-course menu was created by award-winning Danish Chef Mr Morten Bojstrup Nielsen, formerly of Michelin-starred Nahm Restaurant in London and Sra Bua by Kiin Kiin in Bangkok. He specialises in combining modern techniques with traditional flavour profiles to produce contemporary dishes that are distinctly Thai at heart. 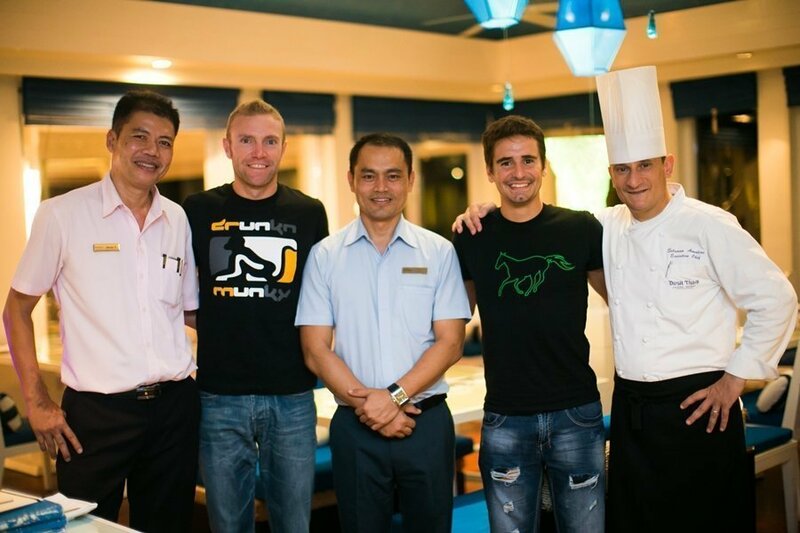 Chef Morten flew in from the flagship Benjarong Restaurant at the legendary Dusit Thani Bangkok just to join the Ruen Thai team in excuting this special menu for a one-night-only experience. Winemaker Kathrin Puff was on hand throughout the night to share her deep knowledge about the wines as well as the vineyard’s history. 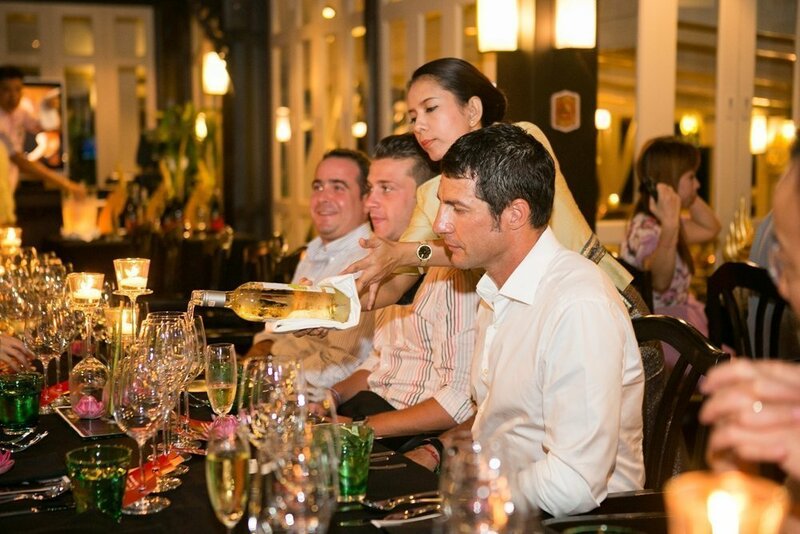 Phuket, Thailand – Dusit Thani Laguna Phuket together with Siam Winery Co., Ltd. will proudly present ‘The Taste of Siam Monsoon’, an extraordinary wine dinner paired with prestigious Monsoon Valley wines from Hua Hin Hills, Thailand on Friday January 23th, 2015 at Ruen Thai Restaurant. 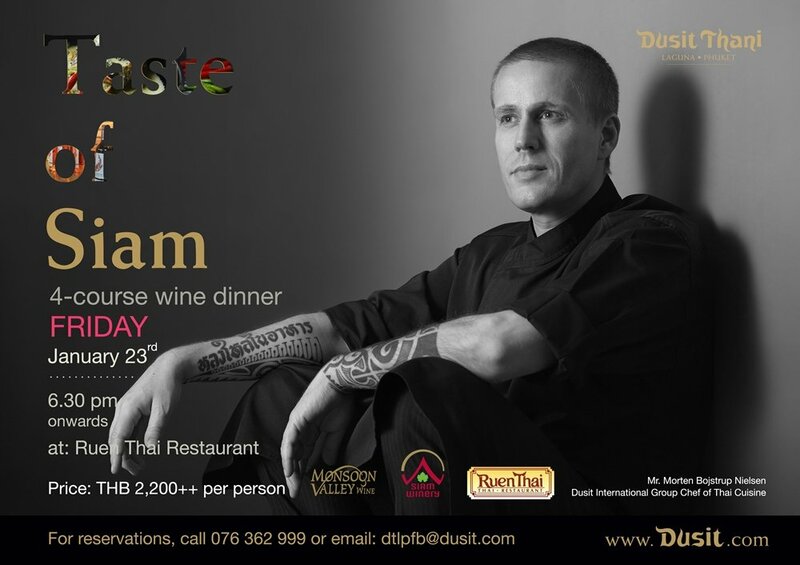 Chef of Thai cuisine Mr. Morten Bojstrup Nielsen who will swift from the Royal Thai restaurant, Benjarong, Dusit Thani Bangkok to be in collaboration with our Executive Chef Silvano Amolini and his skilled Thai chefs for its exclusive wine dinner night. 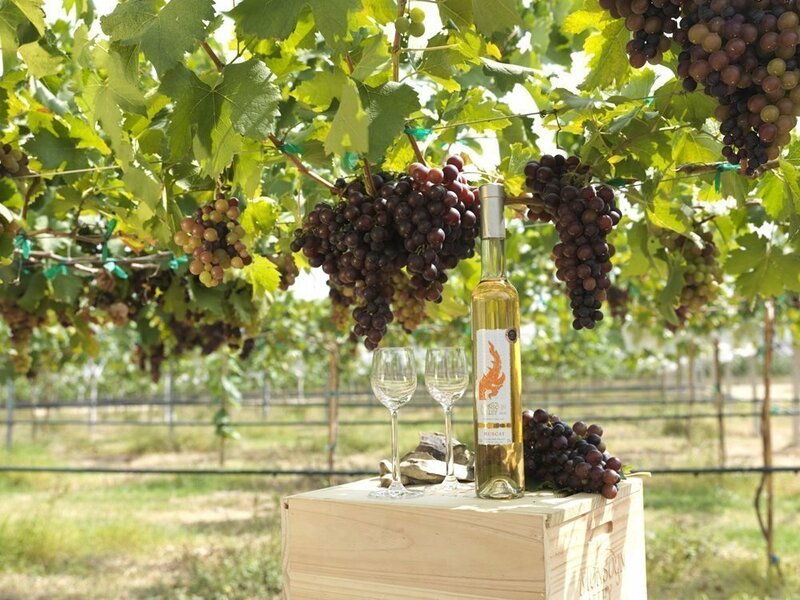 To make the event even more special, Kathrin Puff, Winemaker and Deputy Director Technical Support who will be a guest speaker and share the vineyard’s history throughout the night. First course: Hot and Sour soup with roasted river prawns and coriander, crispy Catfish salad with green mango and Tom Yum custard paired with Monsoon Valley Chenin Blanc Medium Sweet. Second course: Salad of Fresh Tuna and sweet melon, dehydrated tomato and Yam pudding paired with Monsoon Valley White Shiraz (Shiraz Rose). Third course: Roasted duck breast and smoky Aubergine with flower Chives and oyster sauce paired with Cuvee Siam, Monsoon Valley (Shiraz/Sangiovese). Fourth course: Basil ice cream and preserved pineapple, salty meringue and crumble paired with Monsoon Valley, Muscat (fortified wine). Wine dinner priced at THB 2,200++ per person, commences at 6.30 pm onwards. Bookings are essential, please contact our Food & Beverage team by email: dtlpfb@dusit.com or call +66 (0)76 362 999. 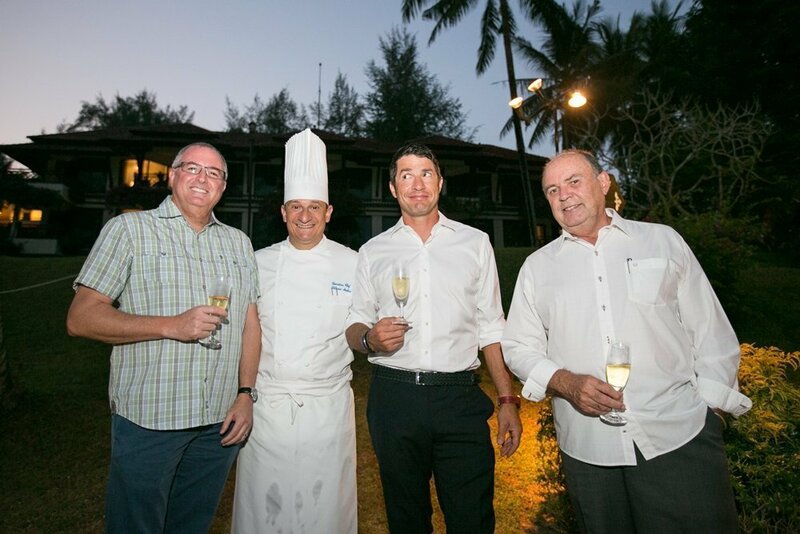 Phuket, Thailand – La Trattoria, an award wining and one of Phuket’s most distinguished fine Italian restaurants, will participate in the eighth International Day of Italian Cuisines (IDIC) 2015, celebrated worldwide on 17th January. 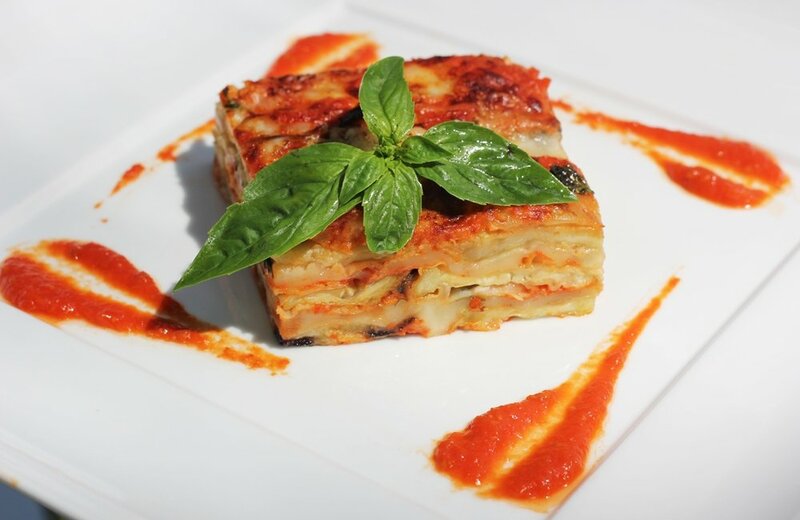 The official dish of the IDIC 2015 is Parmigiana di Melanzane (Parmigiana eggplants), it is a traditional dish originated in Southern Italy and widespread in Naples, Campania, Calabria, Sicily and worldwide. The dish was celebrated by the Virtual group of Italian Chefs, a network of over 2,500 culinary professionals working in 70 countries. Our Executive Chef Silvano Amolini, Chef de Cuisine Lorenzo Stelzer and his team will join the celebration by offering the dish on a special menu on 17th January at La Trattoria. For reservations, please contact our Food & Beverage team, email: dtlpfb@dusit.com or call +66 (0)76 362 999. The International Day of Italian Cuisines helps to ensure that consumers receive authentic and quality Italian cuisine in eateries labelled “Italian,” as the organisation believes that when the name of a traditional Italian dish is used, that dish should be prepared in the traditional manner. 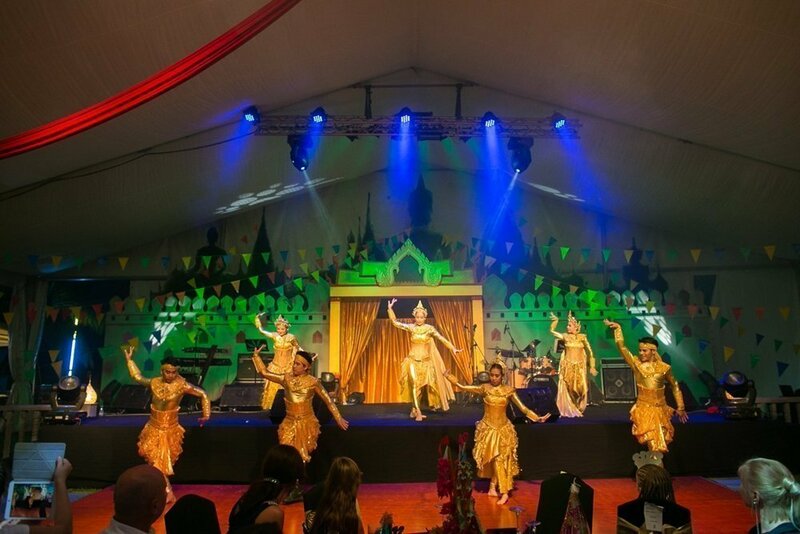 Phuket, Thailand – Dusit Thani Laguna Phuket’s guests had a joyful countdown on New Year’s Eve with a Thai Temple Festival themed night. 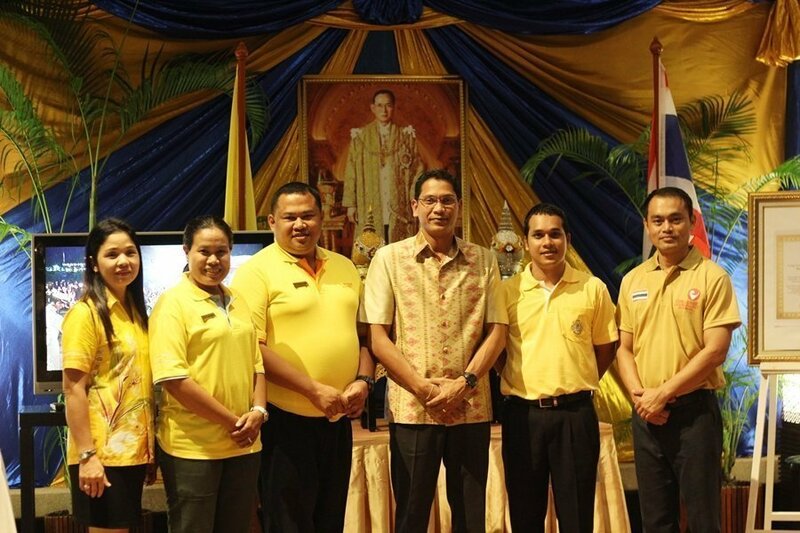 The celebration, led by General Manager Mr Denis Thouvard (centre) along with the management team and staff, ensured guests were delighted with lavish buffets including traditional live cooking stations, games, lucky draws and comtemporary Thai performances. 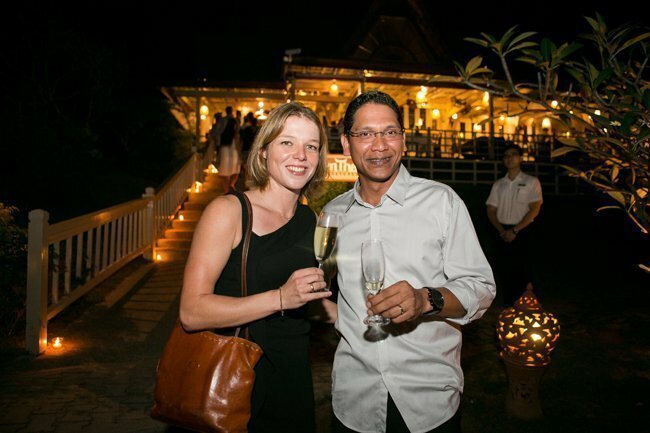 At the after party, guests danced the night away, watched a stunning fireworks display and counted down to the brand new year on the resort’s stunning beachfront. On the first morning of 2015, Dusit Thani Laguna Phuket also invited guests and staff to participate in a New Year merit-making ceremony which included offering food to monks as well as a water blessing ceremony at the Dusit Laguna Hall, in order to bring good luck and fortune to all. 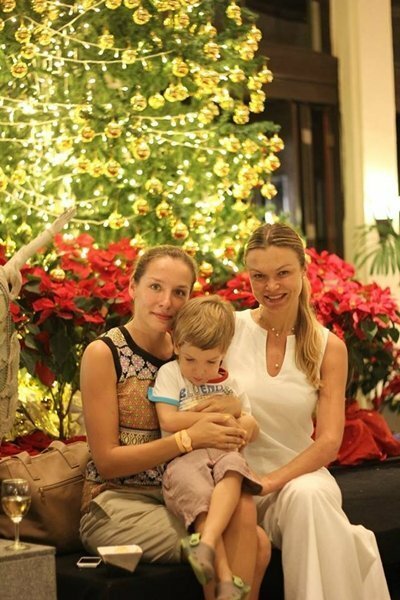 Phuket, Thailand – Dusit Thani Laguna Phuket celebrated the festive season on Christmas Eve by hosting a gala buffet dinner by the poolside. 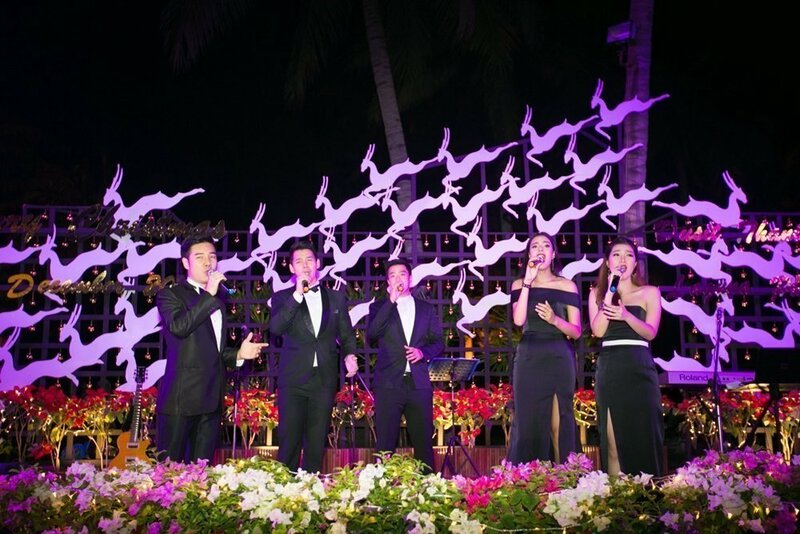 Guest enjoyed spectacular live entertainment by Thailand’s first and only pop opera band, Fivera throughout the evening. 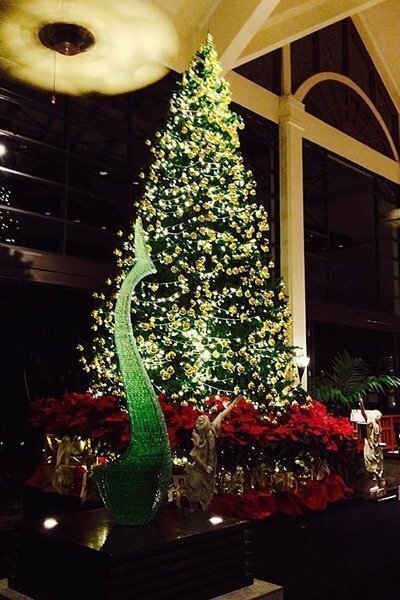 Dusit Thani Laguna Phuket’s annual Christmas Tree Lighting ceremony marked the official start of the resort’s holiday season on Monday, 16 December 2014. 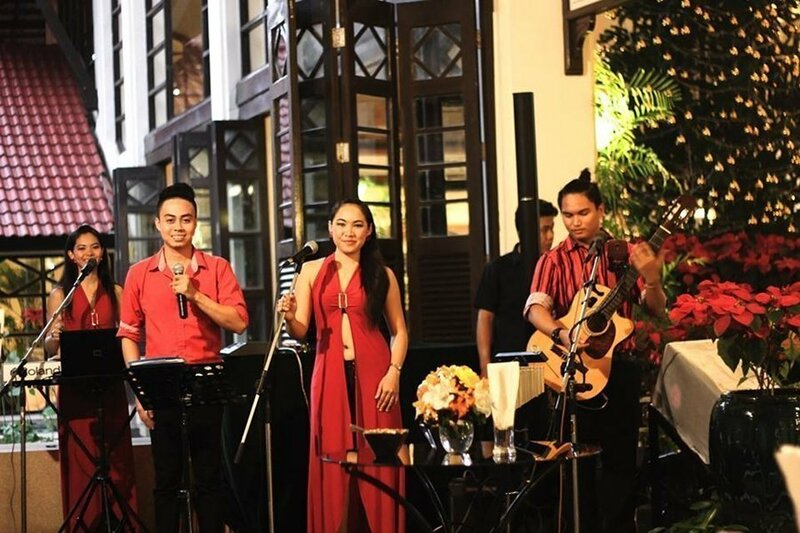 Held at the resort’s lobby lounge, Horizon Lounge, the festivities led by General Manager Mr Denis Thouvard, General Manager alongside the resort’s management team and entertained by the Jammers band. 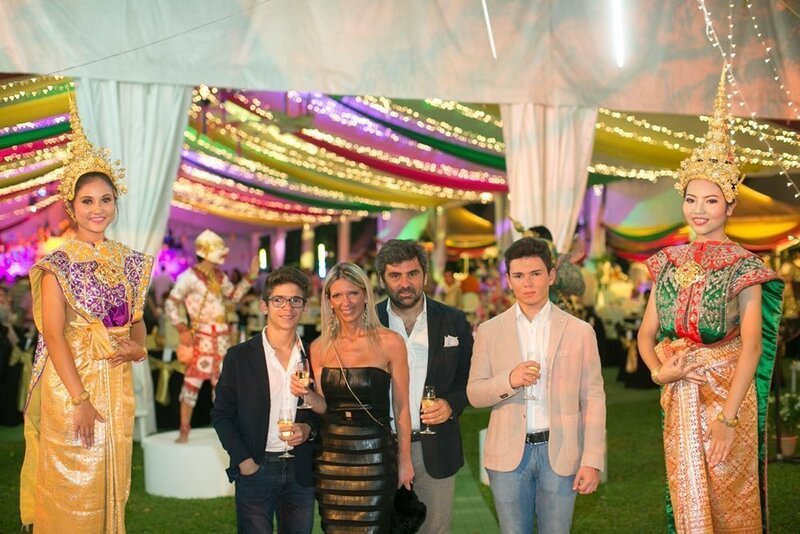 A cocktail party followed, with guests toasting to the start of the festive season. 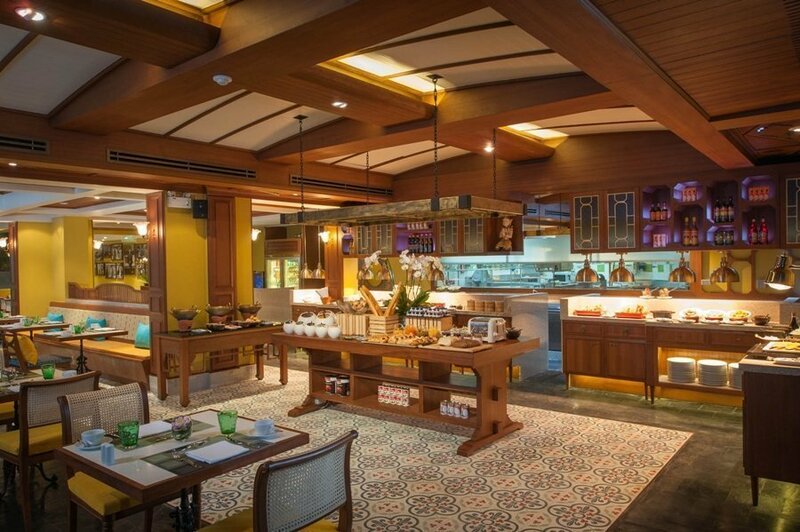 Dusit Thani Laguna Phuket officially unveils its new look Laguna Café, following a THB 6 million refurbishment and extension carried out over the last few months. Laguna Café has been redesigned with Phuket’s Old Town as an inspiration. Create Great Design Co., Ltd. used the area’s Sino-Portuguese architectural heritage to inform the design, and throughout the café there are distinctive elements such as: textured, weathered woods; chairs and cushions upholstered with oriental-style fabrics; painted floor tiles and fine porcelain pieces. Artwork has been chosen to reflect the resort’s storied history with images of members of the Thai royal family, international heads of state and celebrities adorning the walls. 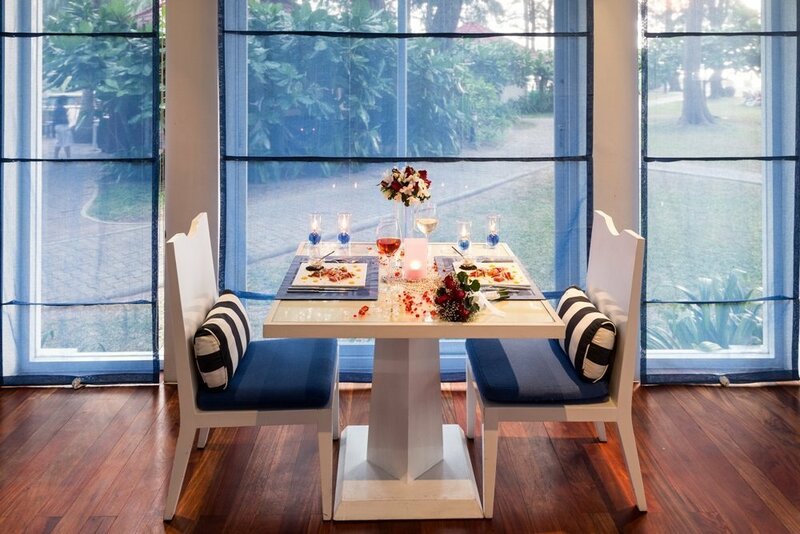 An open show kitchen adds a fun, interactive element to the space and an extensive al fresco dining area with views across the swimming pool and lush tropical gardens now accommodates 176 guests. The vibrant venue offers a creative all-day dining offering, highlighting comfort foods from Portuguese, Chinese and Thai cuisines, coupled with the signature warm Dusit hospitality. “We are delighted to launch our new Laguna Café just in time to celebrate our 27 years in business”. 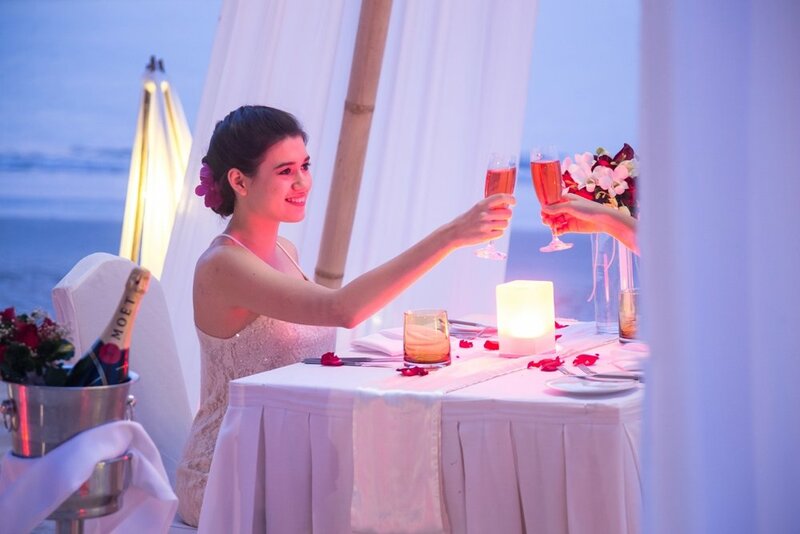 We are confident that resort guests and Phuket residents alike will thoroughly enjoy what is on offer. 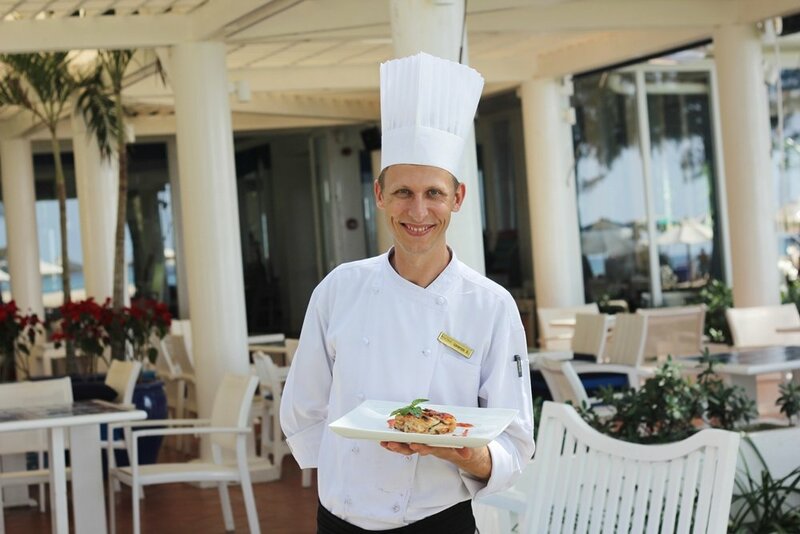 The new Laguna Café is charming and welcoming with something for every taste, and the service is exceptional and efficient,” said, Mr Denis Thouvard, General Manager. 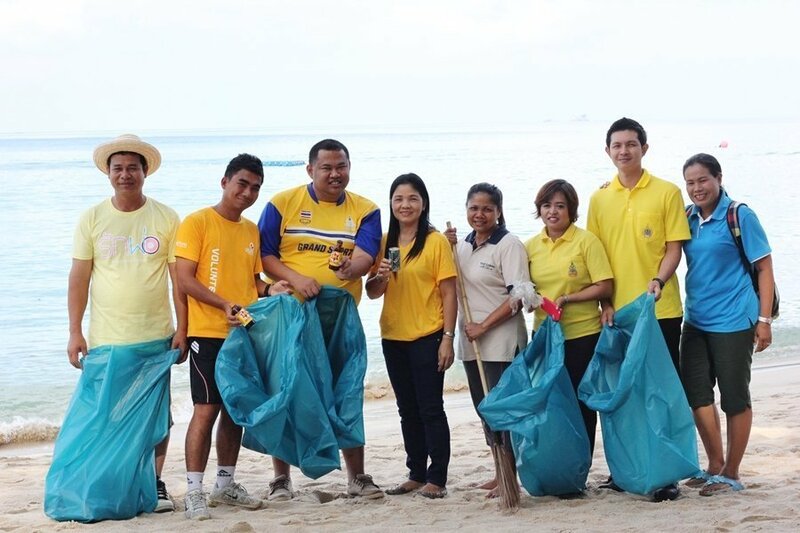 In cerebration and honouring to the HM King Bhumibol Adulyadej’s 87th Birthday anniversary, Dusit Thani Laguna Phuket, led by Mr. Bejamin Perera, Resident Manager along with associates, local businesses and students in collaboration with Cherngtalay Or Bor Tor for cleaning up the beach from Surin-Bang Tao-Lay Pang-Layan beaches yesterday morning. 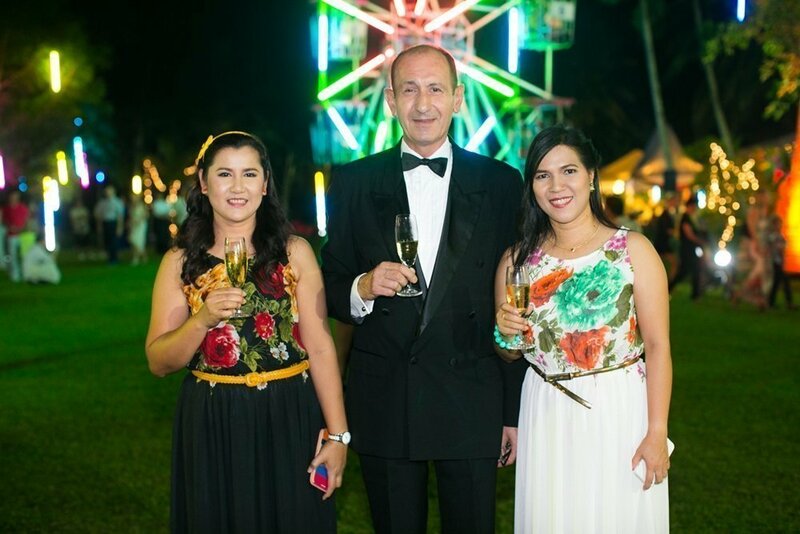 Dusit Thani Laguna Phuket held a joyful event to celebrate the 87th Birthday of His Majesty King Bhumibol Adulyadej on 5th December 2014. 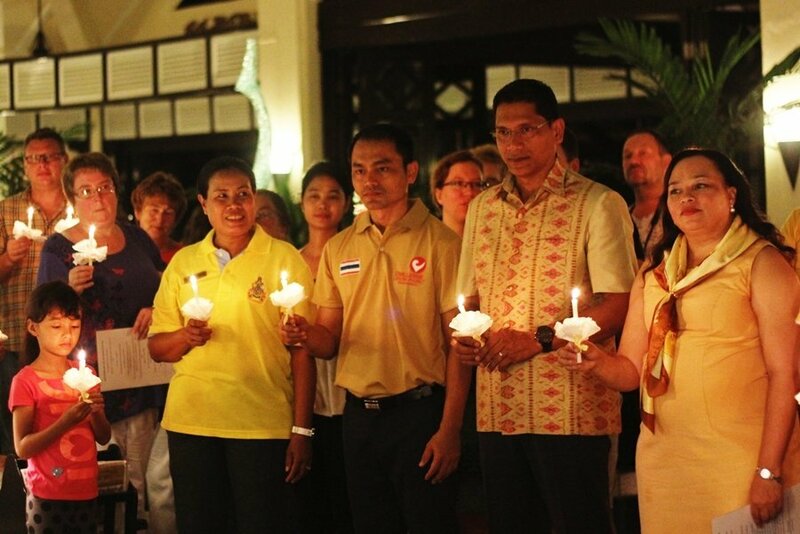 In the evening ceremony, a candle-lighting and singing of the National Anthem was led by Mr Benjamin Perera (3rd from right in main photo), Resident Manager of Dusit Thani Laguna Phuket along with management team. 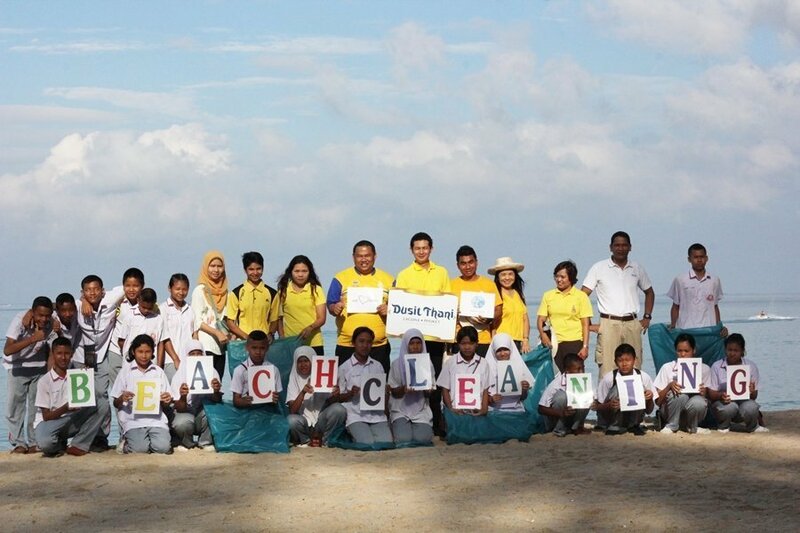 Guests and staff of the resort eagerly took part in the auspicious celebration.